Our firm handles real estate transactions as well as landlord-tenant matters. At certain times, these two areas of the law may intersect. One situation which occurs frequently is when a multi-family house is sold by its owner, who may have one or more tenants living at the property. 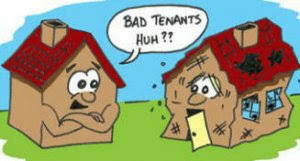 In such a situation, what are the legal responsibilities regarding the tenants? Most standard real estate sale contracts contain a clause requiring that the property be conveyed vacant and free of tenants. Unless there is a rider to the contract modifying this clause, this means that it is the seller’s responsibility to remove all tenants prior to closing. When our attorneys are confronted with such a situation, the first thing to do is to ask the proposed new owner’s attorney whether they wish to retain the tenants living at the premises. It is possible that the new owner would also like to rent the property, or a portion of same, and does not want to go through the time and expense of locating new tenants after the purchase is complete. If the new owner wishes to retain the tenants after she purchases the property, the next step is to determine whether the current tenants have a written lease for the premises. If they do, the lease should be reviewed by the buyer’s attorney, and, at closing the lease should be legally assigned to the new owner. What this means is that the new owner “steps into the shoes” of the former owner regarding the obligations under the lease. Any security deposit being held by the seller of the property should be transferred to the buyer at the closing. In addition, any rent already paid by the tenant prior to the closing should be pro-rated at the closing. For example, a closing is scheduled for April 15. The tenant pays his monthly rent of $1,000.00 on April 1 as per his lease. At the closing, the buyer should receive a $500.00 credit as his share of the rent for the one-half month that he owns the property. He will collect rent directly from the tenant starting in the first month after the closing. Of course, in many situations, the purchaser does not want to retain the tenants, and, under the standard contract, the seller is required to deliver the premises free of tenants at the closing. In such situations, the first step is to speak to the tenants regarding their intentions. If the tenants already have a written lease, it should be reviewed to see when it expires, and if so, whether there is a right of renewal. If there is no written lease, the tenants are considered month-to-month. Many tenants will claim that they will vacate voluntarily when a property is sold, but our experience has shown that this often does not happen. When this occurs, it may be necessary for the seller’s attorney to bring a holdover action against the tenants if they do not vacate. If the tenants are month-to-month, they must be served with a thirty-day notice to quit before a special proceeding may be brought in the appropriate local court. Such proceedings may be time consuming, and the tenants may ask the Court for additional time to locate a new residence. Many local judges will allow tenants such extensions, so it is important for a seller’s attorney to allow for such a possibility when scheduling a closing date. If Court proceedings are necessary, they may delay the closing, and cause the seller to incur additional carrying charges, such as property taxes, interest on mortgage, and maintenance. Therefore, is it is important to have experienced counsel thoroughly review the situation and act accordingly when property with existing tenants is being sold.